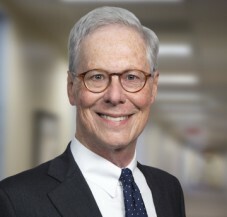 Robert B. Fawber is a Principal in Cummings & Lockwood's Private Clients Group and is based in the West Hartford office. His primary areas of practice are estate and charitable planning, estate settlement, trust administration and residential real estate transactions. Prior to joining Cummings & Lockwood, Bob practiced real estate, estate planning and general business law in the Hartford area from 1975 to 1996. While at Georgetown Law, Bob served in the United States Army Reserve, Judge Advocate General Corps, Fort Meade, Maryland, and was an intern in the United States office of the Honorable Lowell P. Weicker, Jr.